Oak regeneration tour by Saxton and Goldblum. 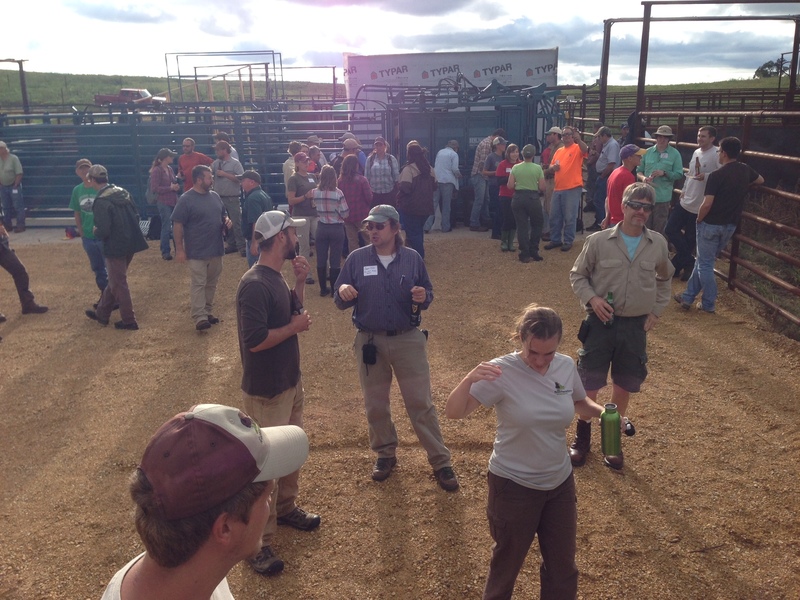 Nachusa Grasslands hosted the annual workshop of the Grassland Restoration Network from September 9, 10 and 11, 2014. We had 90 people register and about 110 with Nachusa stewards and crew on hand to run things. Participants came mostly from Illinois but there were staff from Iowa, Indiana, Missouri, and Nebraska. Participants were enthusiastic with our format which was heavy on tours, and gave generous time for social interactions and three solid keynote talks. Great thanks go out to volunteer Marilyn Carr for catering two breakfasts and helping set up all day Wednesday. 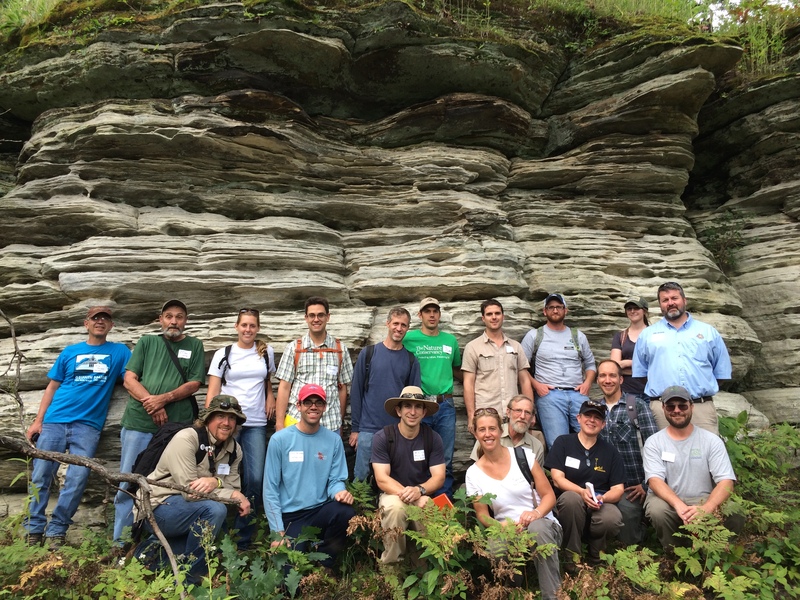 Thanks to the tour leaders of: Al Meier, Bernie Buchholz, John Heneghan, Jay Stacy, Cody Considine, David Goldblum (NIU), Shannon McCarragher (NIU), Becky and Hank Hartman, Mike Saxton, Mike Konen (NIU), Nick Barber (NIU), Jeff Walk, Bill Kleiman, Rich King (NIU), and Kim Schmidt (SIU). Thanks to our three keynote speakers: Chris Helzer, Stephan Packard, and Bob Gillespie. Thanks to the seasonal crew for the heavy works of cleaning, set up and take down: Heather Baker, Kim Schmidt, Zack Stork, Joe Boise, and Jocelyn Frazelle. Thanks to Susan and Leah Kleiman for baking desserts and help in kitchen and Susan for leading a tour of the fen on the spur of the moment. Panorama photo of folks during morning briefing before going out into the field. 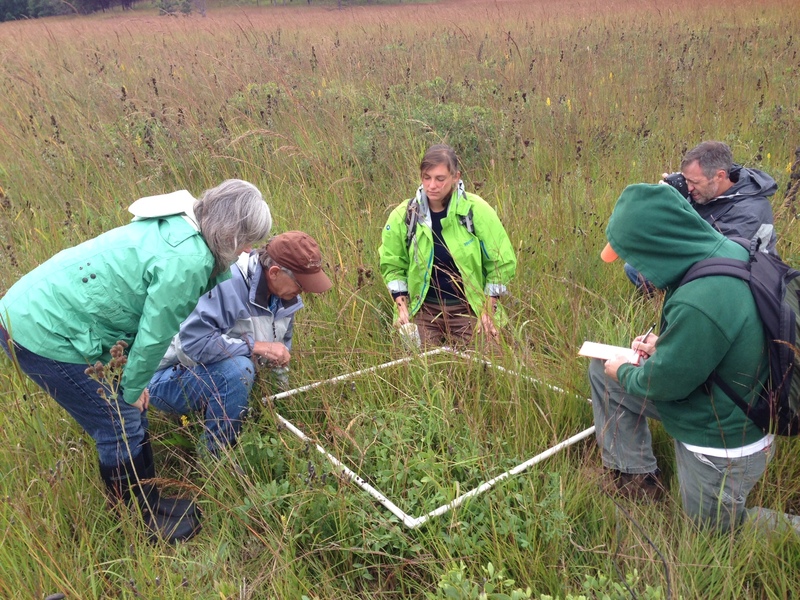 During invasive weed tour we spent 15 minutes collecting some quick data on diversity of plants and number of invasive birdsfoot trefoil. Wonkish fun. Social hour at the new bison corral. This entry was posted in Uncategorized and tagged GRN, habitat, Invasive species, Nachusa, restoration. Bookmark the permalink. It was an awesome party, Bill. Many thanks to all of you for hosting. I learned a lot and always enjoy seeing your site, stewards, and staff. Thank you.